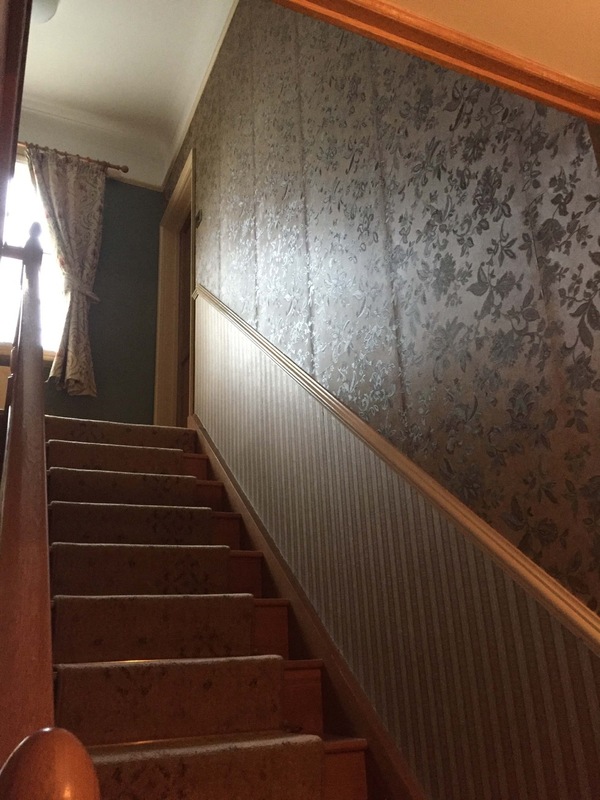 Victorian Hallway Decorating project was completed in January 2016. 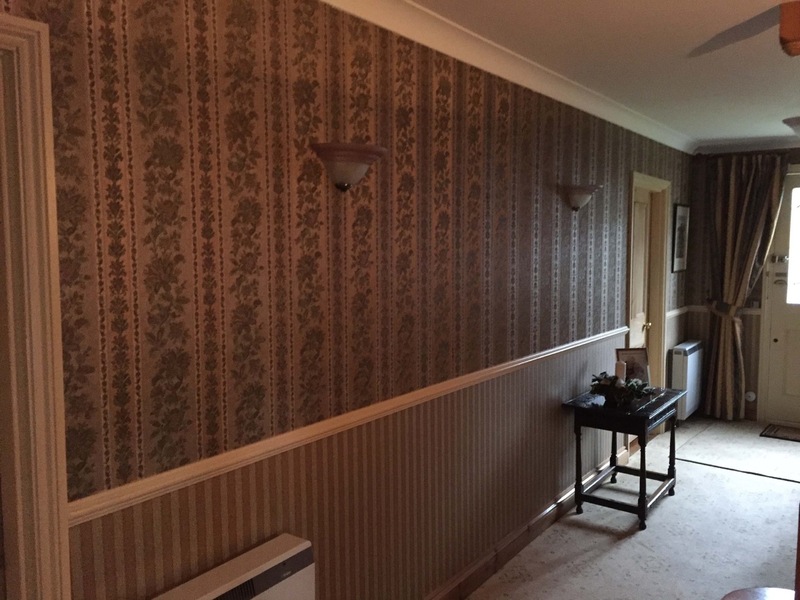 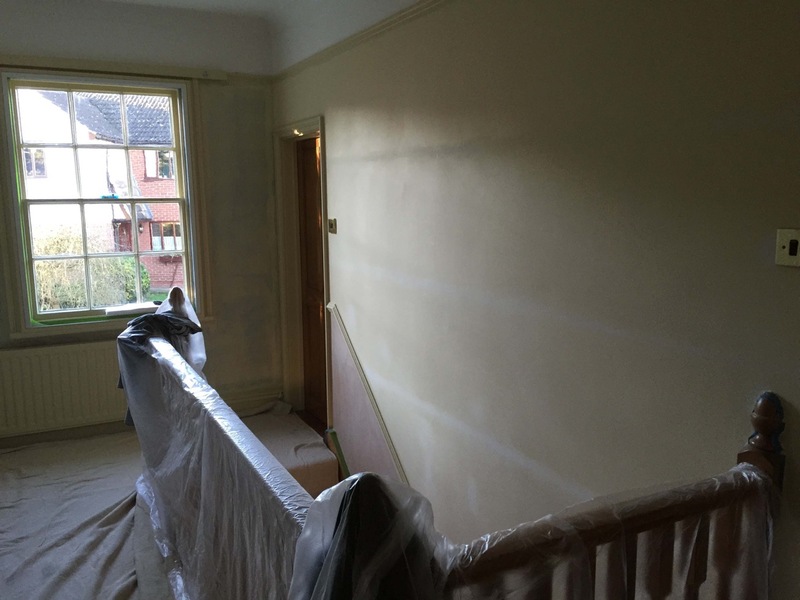 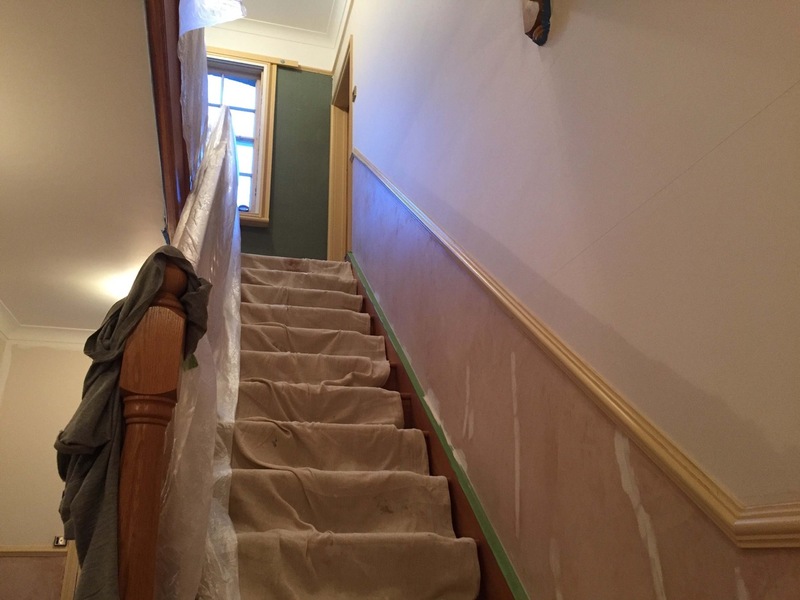 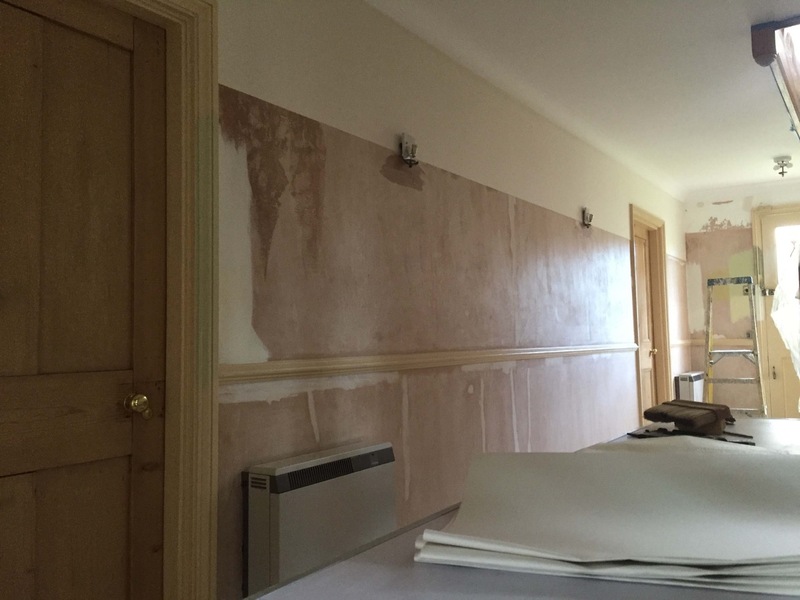 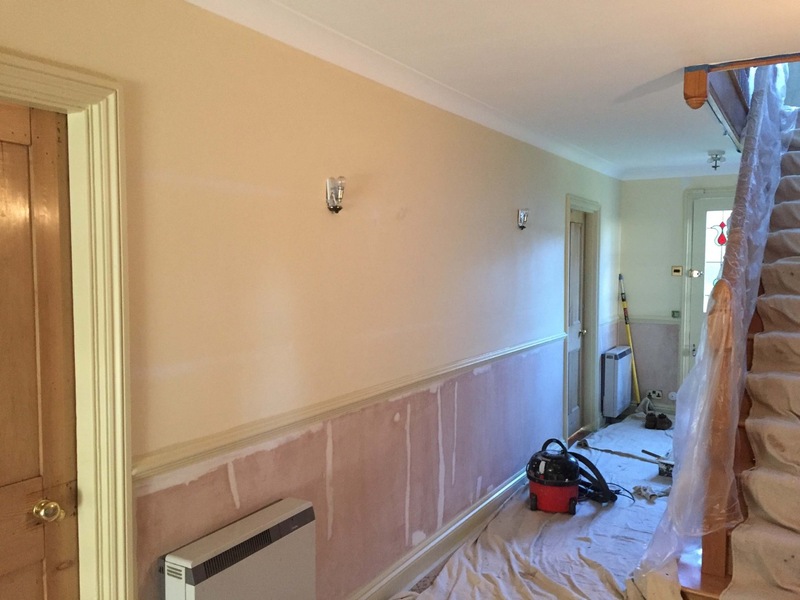 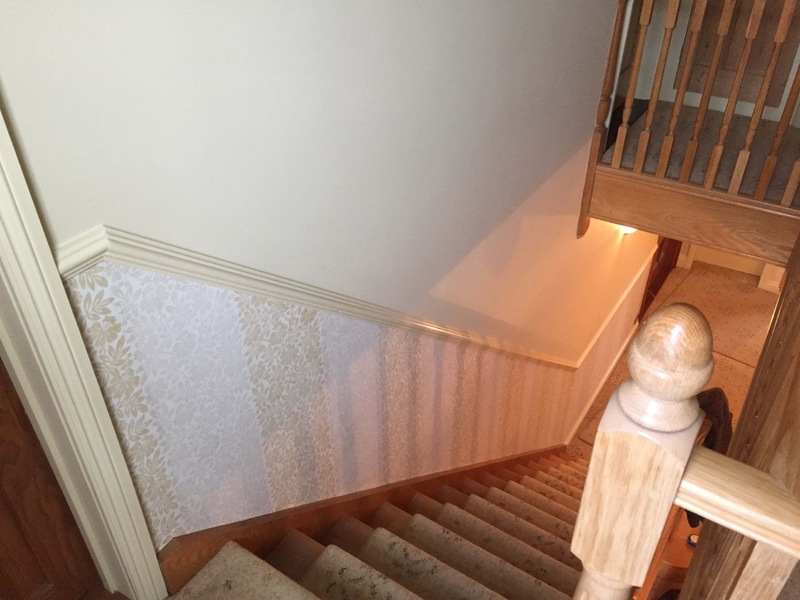 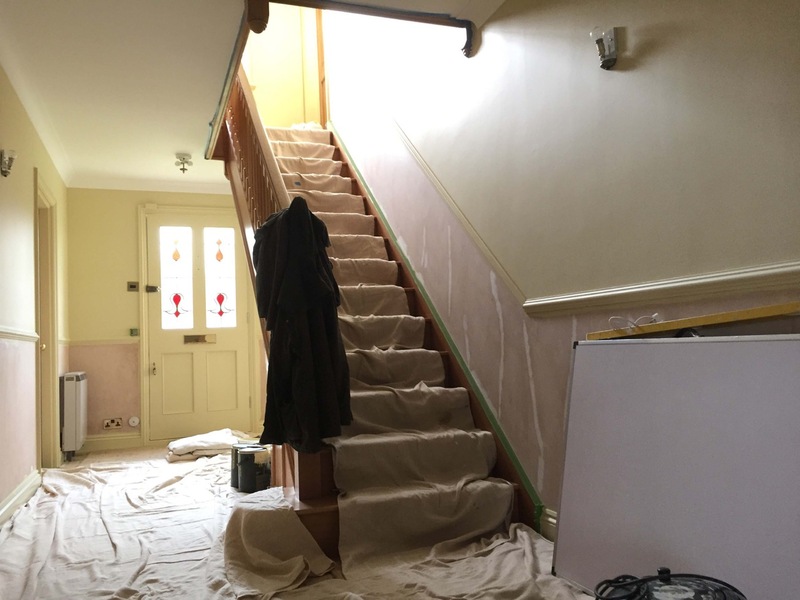 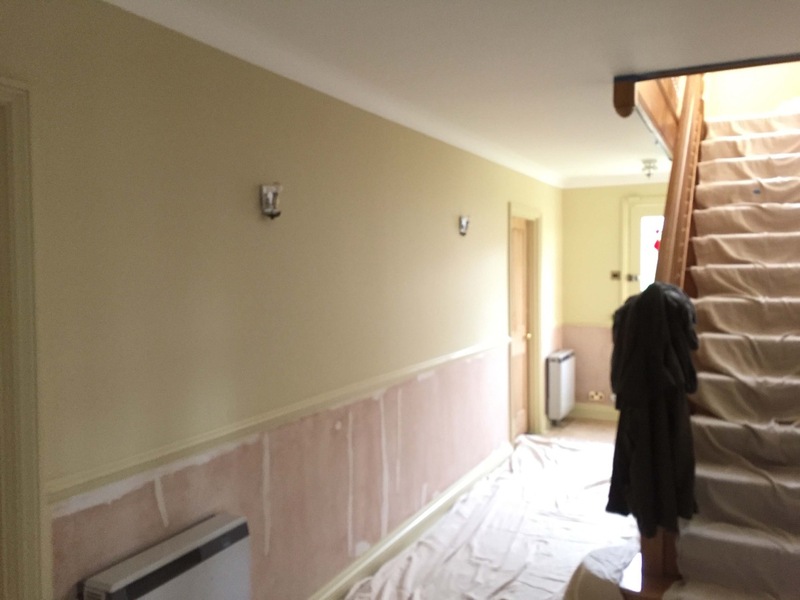 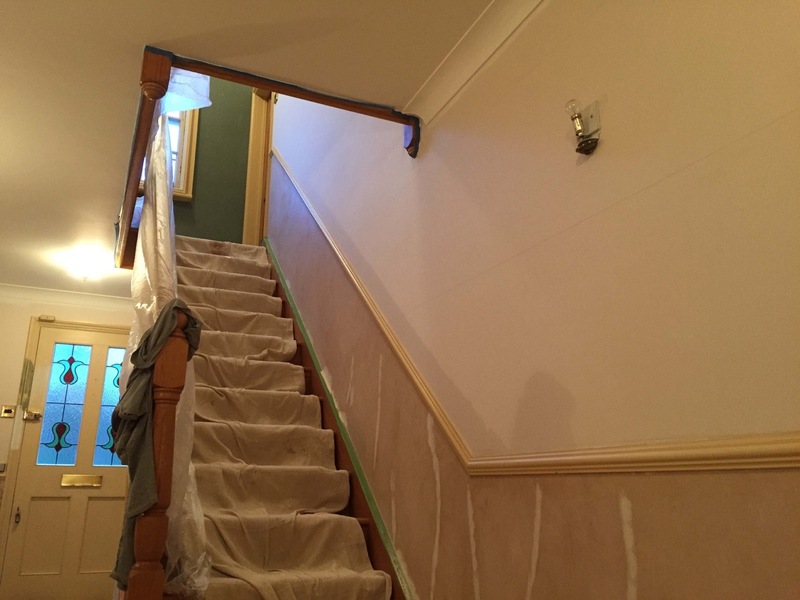 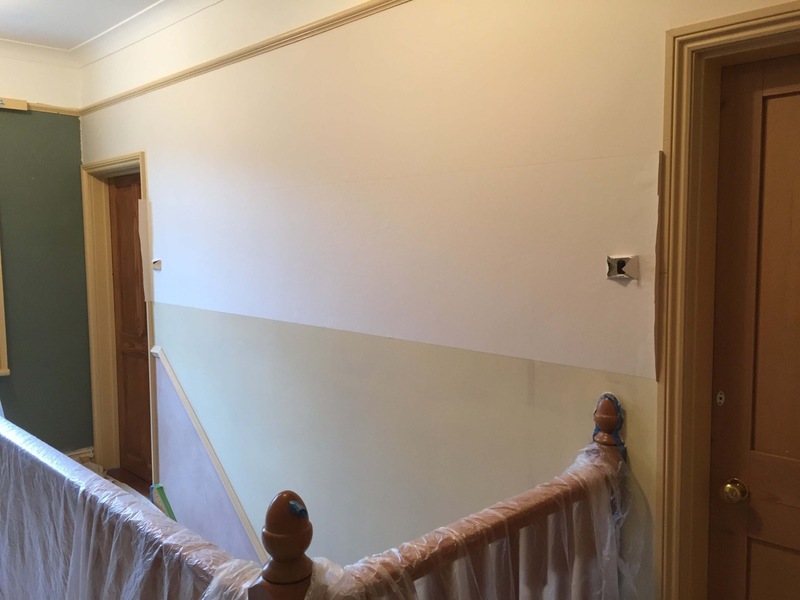 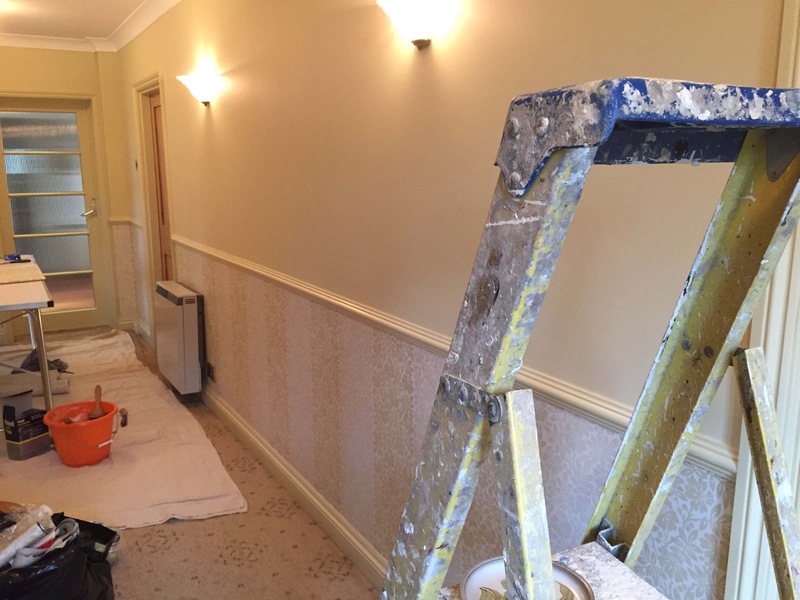 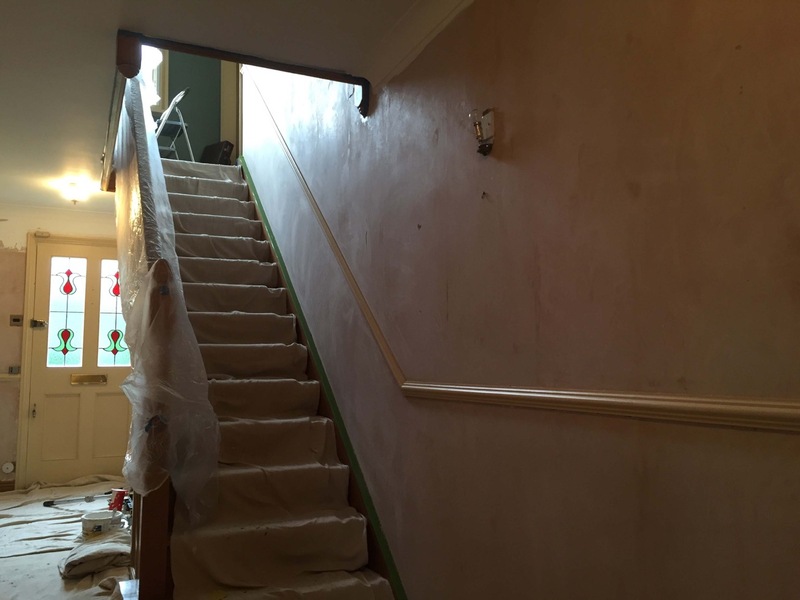 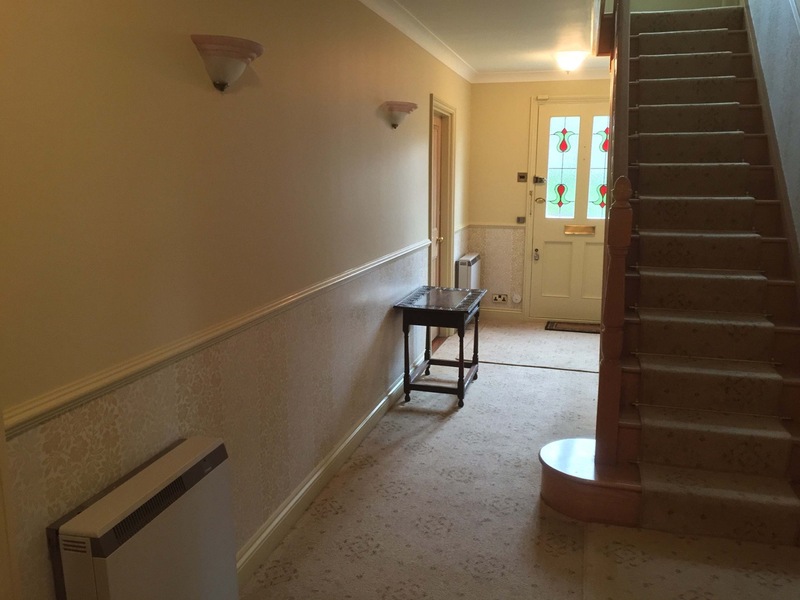 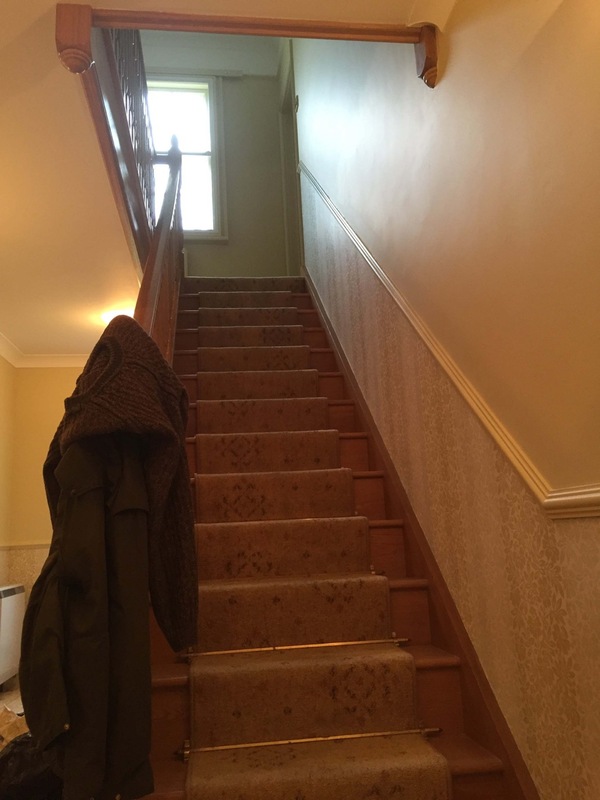 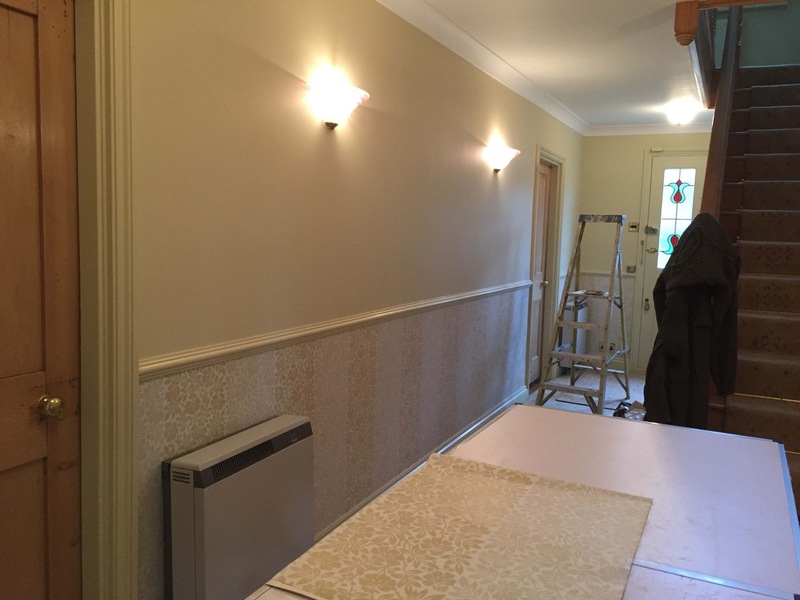 The walls were stripped of the original Wallpaper, filled and sealed then cross lined using 1200 grade lining paper followed by a base coat then 2 coats of Little Greene Intelligent Matt Emulsion. 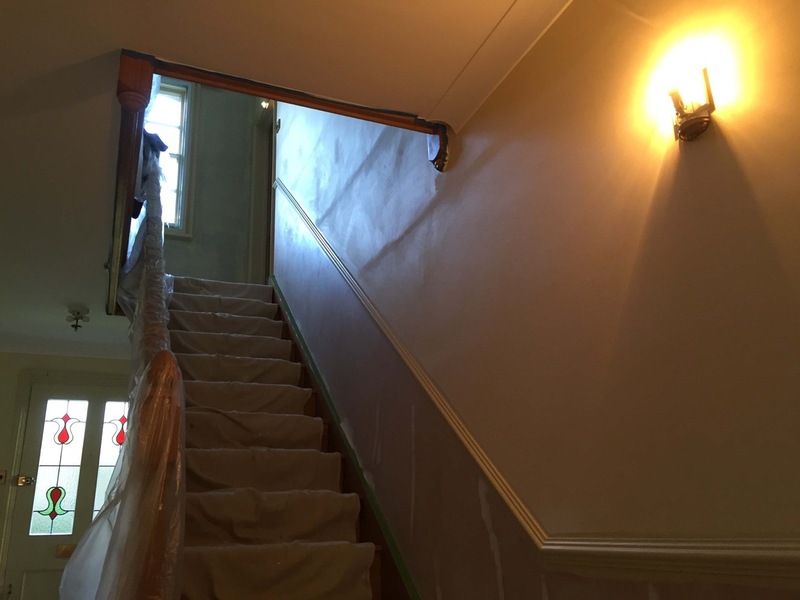 The Woodwork was finished in Little Greene Intelligent Eggshell the same colour as the walls Hi White. 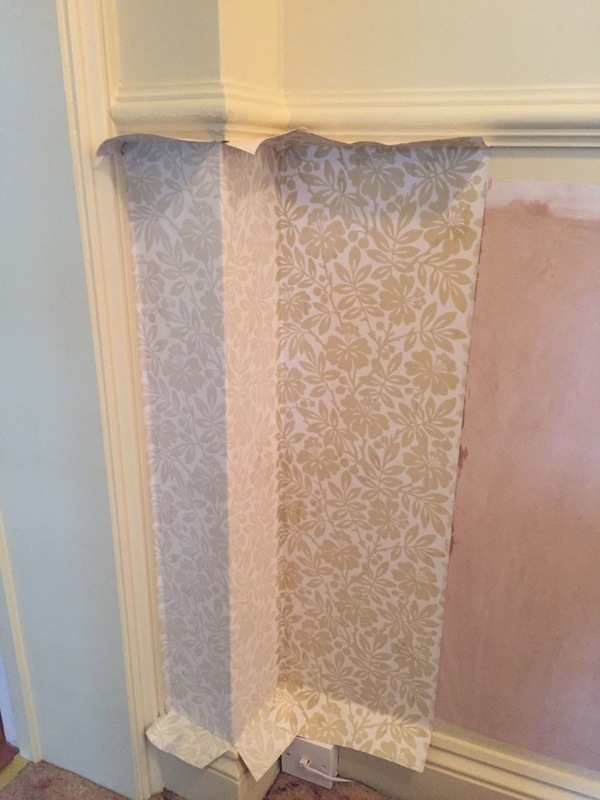 The Wallpaper is also from Little Greene. 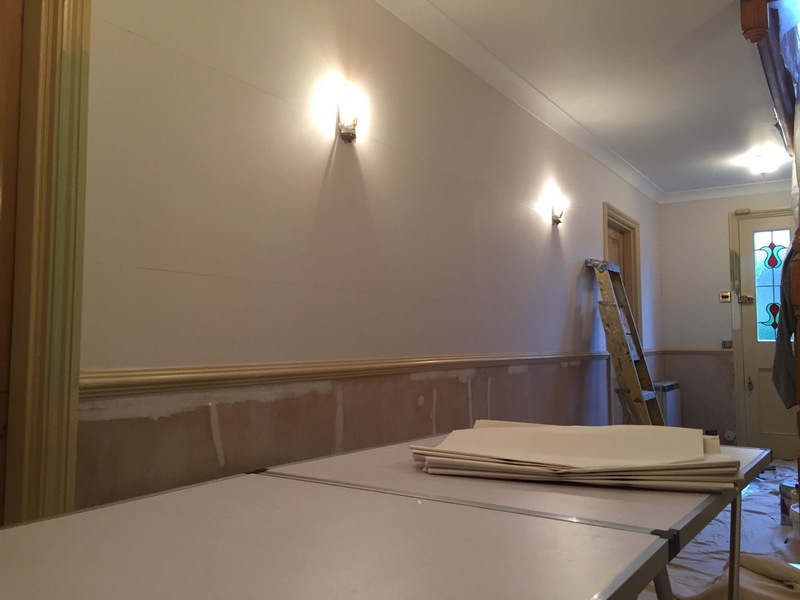 Ceilings Dulux Vinyl Matt White. 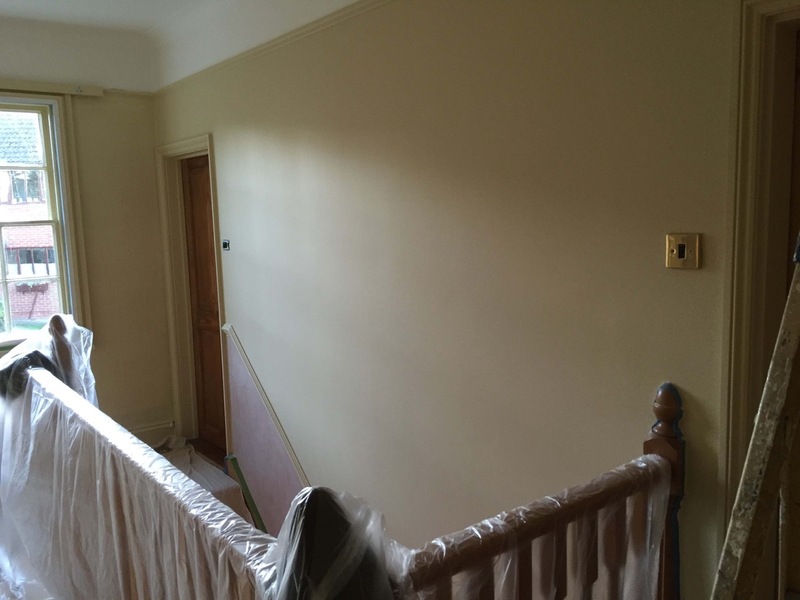 Woodwork Little Greene Intelligent Eggshell Hi White. 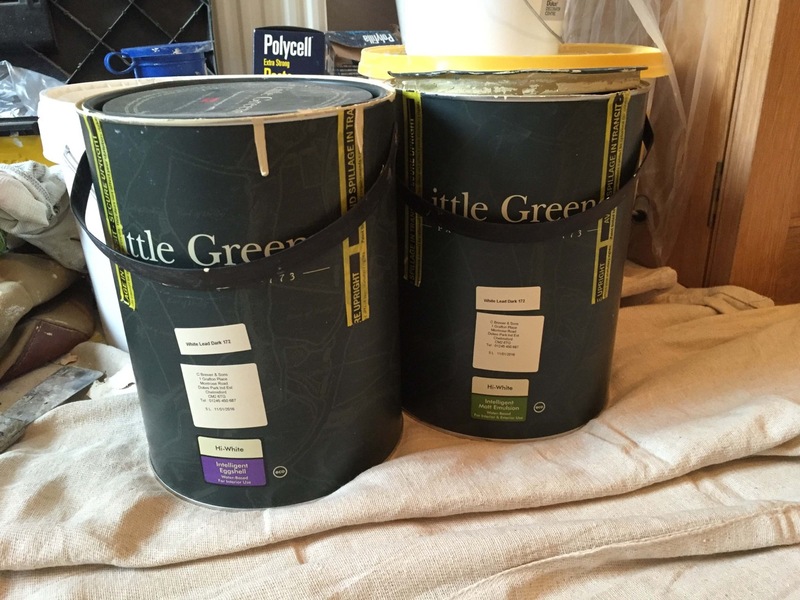 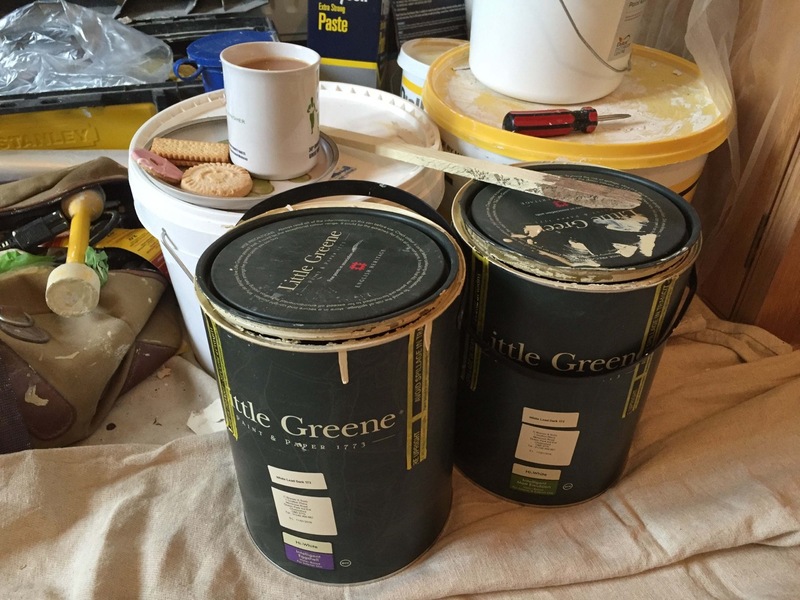 Walls Dulux 1200 Grade Lining Paper Little Greene Intelligent Emulsion Hi White. 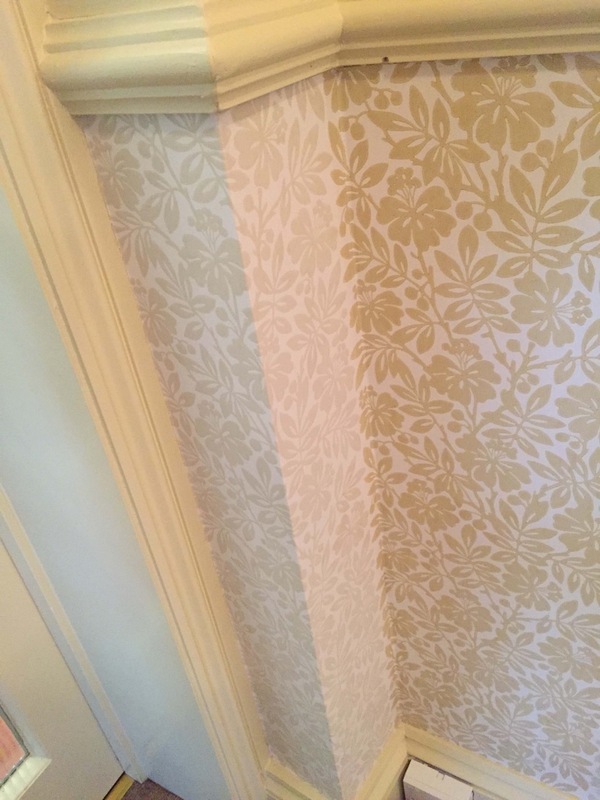 Dado Little Greene Wallpaper (Carlisle Street).